Unfortunately, I don’t have one. More ideas later, so for now I’ll simply digress. One of my guilty pleasures has been the band OK Go. It started when my oldest son left the band’s first CD in my car in the mid-1990s and I was hooked. Then this and they morphed into incredible video-makers. And I wondered…how do they come up this stuff? Or better yet, how can I creatively address a challenge. Here’s a fun TED talk that explains how. OK, go! But sometimes coaches just need to go full matrix and get out of the way. Either way, there is a lot to cover today so let’s get to it. As my Housing Note readers know, I’ve been authoring an expanding Douglas Elliman market report series since 1994. 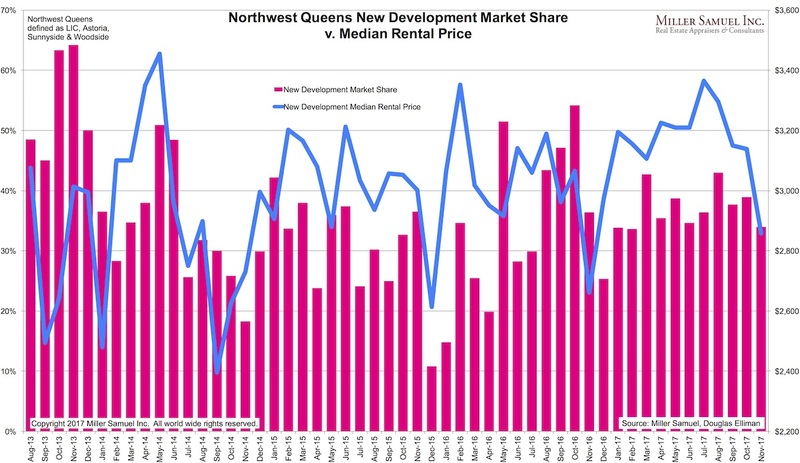 One of the reports is a monthly take on the rental markets of Manhattan, Brooklyn and Northwest Queens. Douglas Elliman published my research on those markets for November this week. Heavy concession usage remains, shifting of housing stock towards luxury skewed (kept overall) prices from falling. The market remains soft towards the top and tighter in the middle and bottom price bands. But a lot of larger units are entering the mix. 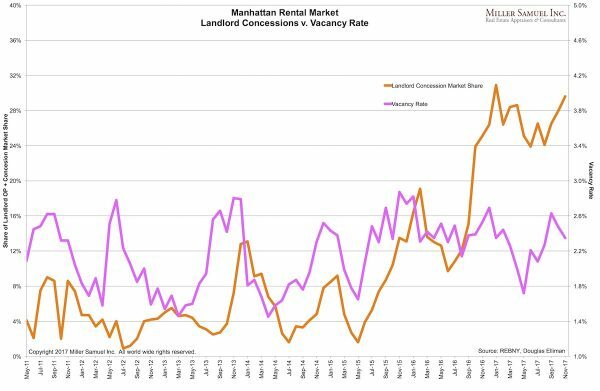 For example, the average square foot of a Manhattan rental at or above $10,000 per month was 2,426, up 13.7% year over year (3.1% of overall new leases). 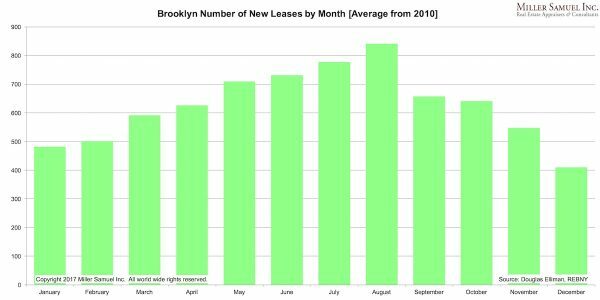 And for apartments above $15,000 per month, the average size was 3,075 square feet, 19.8% larger over the same period, accounting for 1.4% of overall leases. Yet the non-luxury or first 90% of the market average square footage was 835, down 2.2% over the same period. There is simply too much luxury rental product coming online. 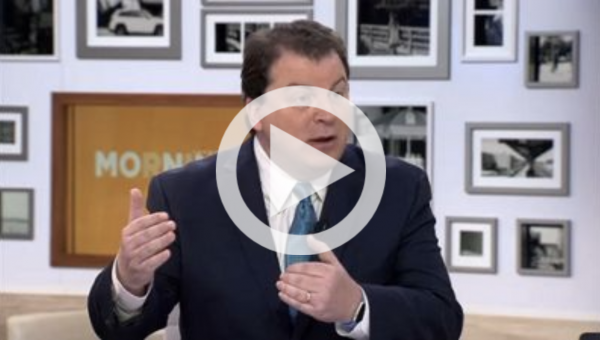 Last Wednesday morning I joined Pat Kiernan on NY1’s Mornings on 1 show to talk about the proposed tax GOP tax bills agree to by the House and the Senate. Pat is a local broadcasting legend so it was great to actually meet him in person. Later that day a couple of sticking points separating the two versions of the bills were addressed in the congressional committee. Once they agree to the terms, they’ll probably hold a vote next week and then send to the president for signature. Both houses of Congress have passed far-reaching tax bills with a lot of common ground between them. The U.S. Senate and U.S. House of Representatives are in the process of merging their versions into a single bill that will be voted on, and if it gets out of committee, it will be submitted to the president for signing. Unlike the 1986 tax reform bill, which took six months of public hearings and discussion on both sides of the aisle, this tax bill was worked on for a year by the GOP and was passed very quickly without most of the signers knowing what was actually in it. Therefore I anticipate an ongoing procession of additional insights that impact the housing market as more people read the bills or the eventual law. This lack of transparency and vetting alone is not great news for housing, which is very dependant on an “uncertainty-free” environment. In addition, there is a “get it done before Christmas” deadline. Here is what I mapped out but this is only what we think we know by reading many interpretations with source links presented at the bottom of the table below. Here’s the pdf version of the table. Luxury Housing Market Update Around The U.S. 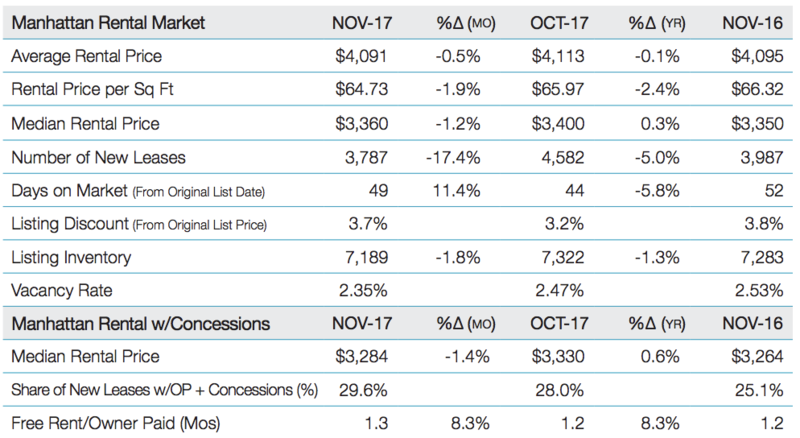 Here are a bunch of charts that I created to identify interesting housing metrics across markets I cover for Douglas Elliman. 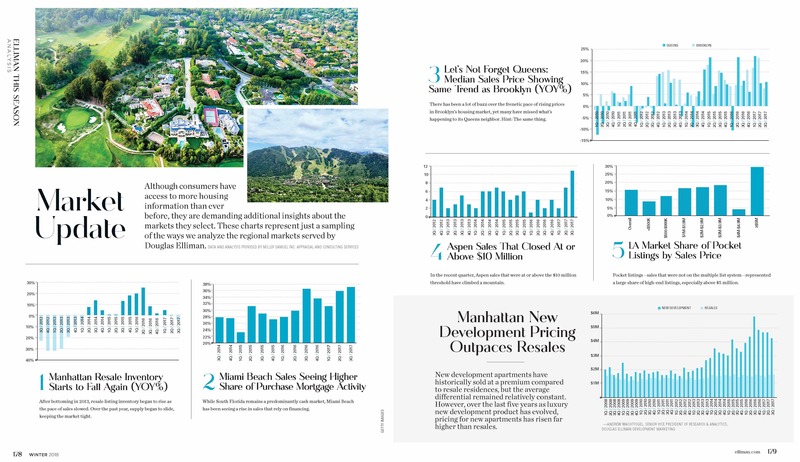 The pages below (click on image to expand) can also be found in the Winder edition of Elliman Magazine. Is There A Retail Apocalypse Or Not? Here are points of view from two different columnists on Bloomberg View (both were guests on my old “The Housing Helix Podcast” a while back). Oh, Canada, It’s The Third Consecutive Monthly Price Decline. A Trend? Canada never saw the housing price collapse that the U.S. did a decade ago. Sure they saw a short-term drop in sales, but not prices. As many wise journalists have told me, it takes three data points to make a trend and now we have one. 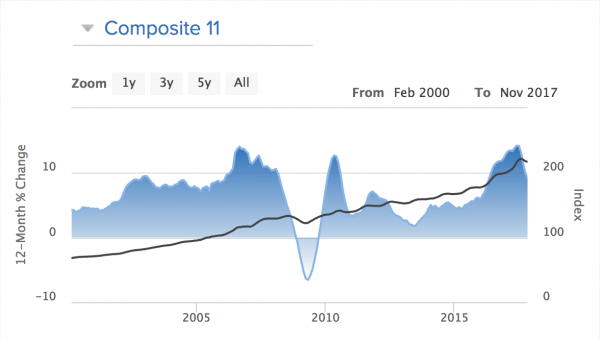 The Teranet–National Bank National Composite House Price Index showed a 3-month decline. In November the Teranet–National Bank National Composite House Price IndexTM was down 0.5% from the previous month, the third consecutive monthly decline and the largest for a month of November outside of a recession. Indexes were down for four of the 11 metropolitan areas surveyed: Toronto (−1.4%), Hamilton (−1.6%), Ottawa-Gatineau (−0.8%) and Edmonton (−0.7%). I’ve provided a bunch of links on the topic in the links below. 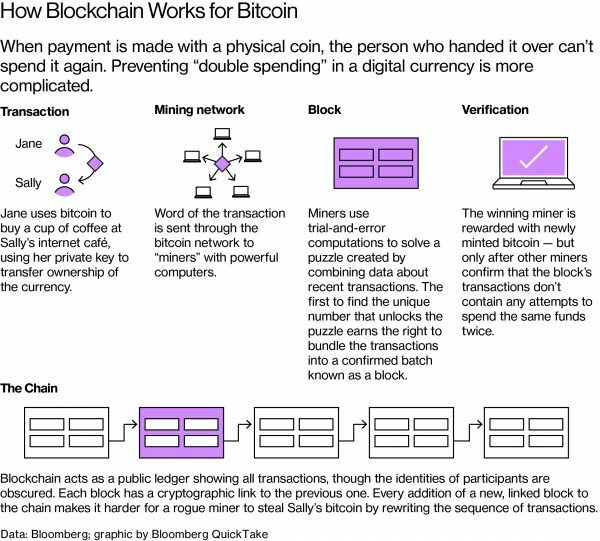 It’s time to at least be aware of crypto-currencies, of which Bitcoin is the most well-known. Oh yeah, a Miami condo unit is for sale only to buyers using Bitcoin (a super gimmicky marketing angle but worth watching). 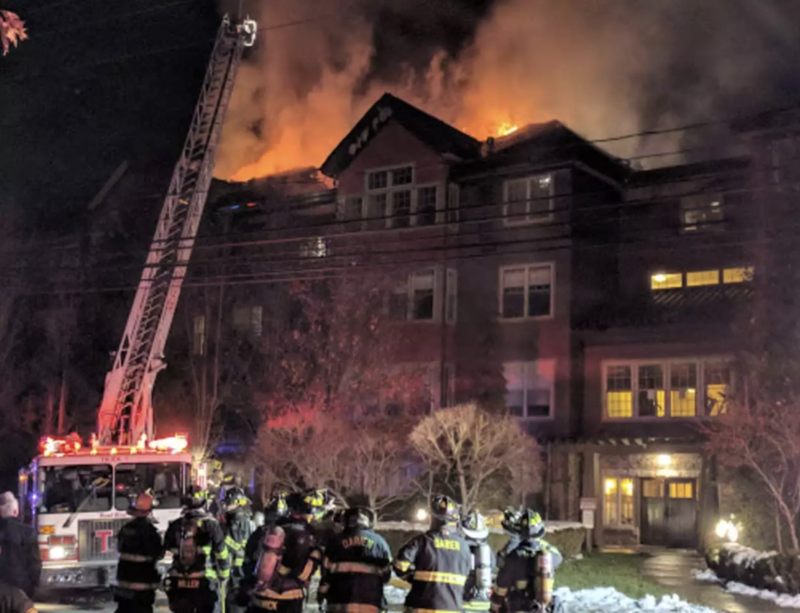 My friend and colleague Constantine Valhouli, founder of NeighborhoodX pens a mini-tome on two different types of value that often confuses real estate market participants. 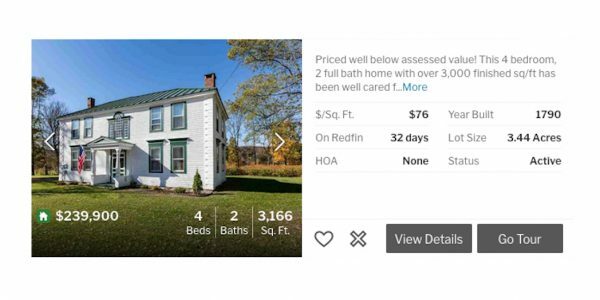 Many real estate listings breathless announce that a particular property is “priced well below it’s assessed value!” as if this were a bargain not to be missed. This made us realize that most people seemed to misunderstand the difference between ‘assessed value’ and ‘market value’ – and why this is very significant for buyers. There is no “appraisal shortage” in Colorado as this AMC claims. The role of AMC’s is to carefully match appraisers that are best suited as experts for that particular assignment. For the AMC to exhibit this skill (as noted above), they are paid 50% or more of the appraisal fee paid by the applicant who thinks it is all going to the appraiser who is valuing their home. As an added bonus, the mortgage process intentionally hides this fact from the borrower. REVAA lobbies heavily against this. That way the appraiser, not only isn’t paid customary and reasonable market-based fees from an institution that may have a monopoly on their market, the appraiser gets to be blamed by the borrowers as being very expensive. This, in turn, enables further discussion by banks and AMCs saving the borrowers money from high-cost appraisals by trying to substitute other products such as AVMs. More on Section 103. Access to Affordable Mortgages. This section provides a tailored exemption from appraisal requirements under the Financial Institutions Reform, Recovery, and Enforcement Act of 1989 for certain mortgage loans with a balance of less than $400,000 if the originator is unable to find a State certified or State licensed appraiser to perform an appraisal after a good faith effort to do so. This is a way for the de minimus to be raised, from its current $250,000, without having to go through the normal hearings process to make that change. But the difficulty of the wording is ‘balance of less than $400,000.’ We, appraisers, are not privy to that figure as it relates to a loan balance. Dumb wording. 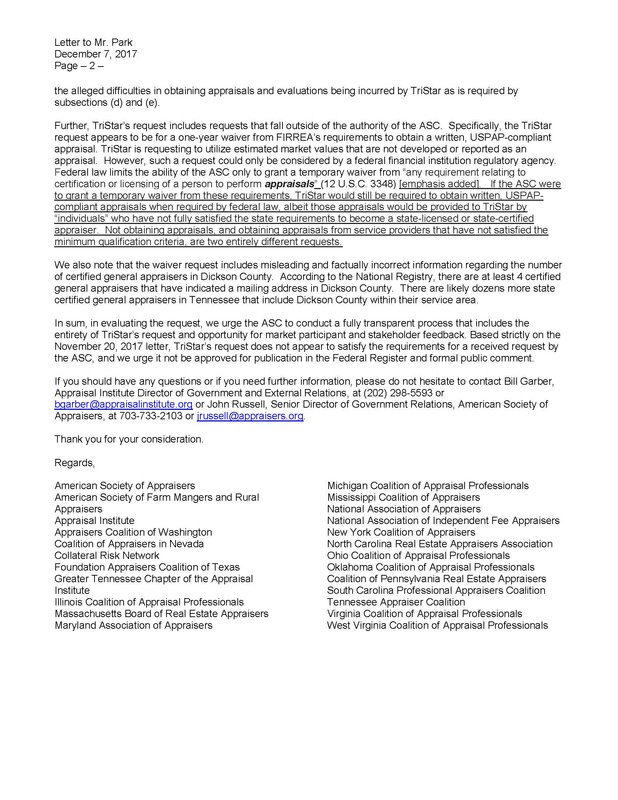 The Appraisal Institute and American Society of Appraisers spearheaded a response letter to the Tristar bank letter sent to the ASC. The letter is a sharp and well-written response. 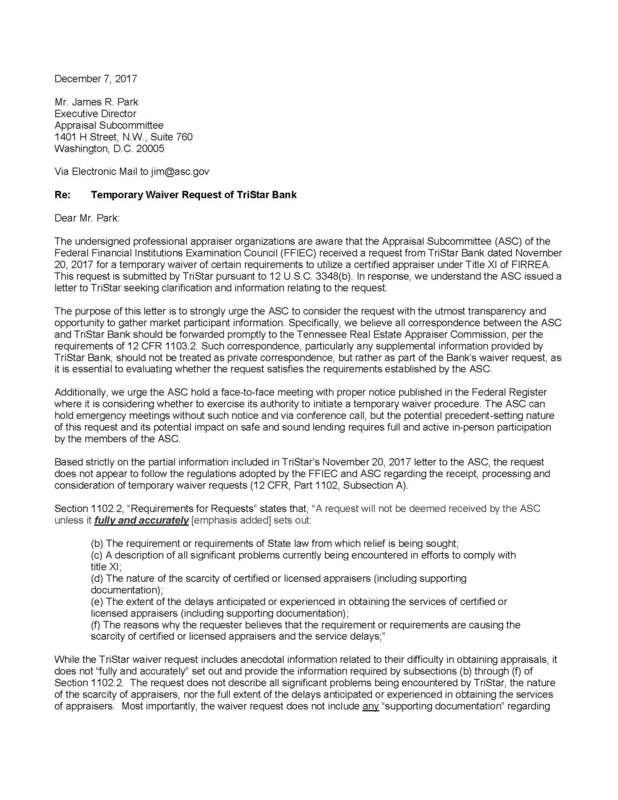 Looks like Jim Park from ASC, just got another waiver request letter. Note top photo with “Miller” on fireman second from left – that’s our son. He was up in the bucket in the bottom photo for 3 hours. 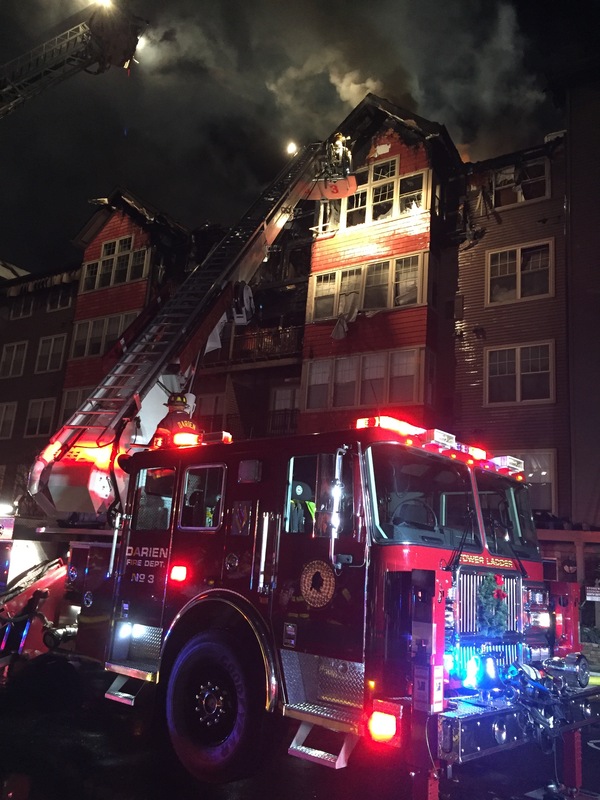 He saw the 3rd floor collapse on the 2nd floor and then instantly on the 1st floor. The guy on the controls swung the bucket away immediately in case the facade collapsed on them. Click to expand both images. Its incredible. If you need something rock solid in your life (particularly on Friday afternoons) and someone forwarded this to you, or you think you already subscribed, sign up here for these weekly Housing Notes. And be sure to share with a friend or colleague if you enjoy them. They’ll play a music video, you’ll leap over danger and I’ll put out another year end appraisal fire.